A new series designed for both traveling and living, Mercedes-Benz Airstream provides over 50 standard features and two floor plan options: the Lounge and the Grand Tour. Learn more about the Mercedes-Benz Airstream floorplans and features, and see how this unique Mercedes-Benz vehicle keeps optimal comfort and performance in mind. Each of the floor plans offers different advantages, so the right layout for you depends on what you’re looking for. Traveling in a large group? The Lounge may be a better option for you. The Grand Tour, on the other hand, offers a more comfortable living arrangement and is better suited for longer trips with more sleeping and storage space. No matter which layout you opt for, you’ll have the choice between seven different furnishing options, giving you the freedom to choose your favorite colors, materials, and more. Interested in learning more about the Mercedes-Benz Airstream or other Mercedes-Benz models? 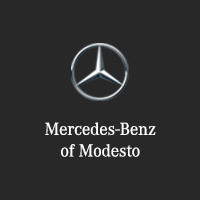 Contact us or visit us at Mercedes-Benz of Modesto and one of our team members can give you more information. Our dealership is just a short drive from Stockton and Stanislaus!